Summer is in full swing, hope you are enjoying it. We have just gotten in a new box of English paper piecing products. These are great to take with you on a long trip or to have on your table for a small summer project to work on after dark. Construction Sale 10% off your entire purchase till the bridge/road re-opens. 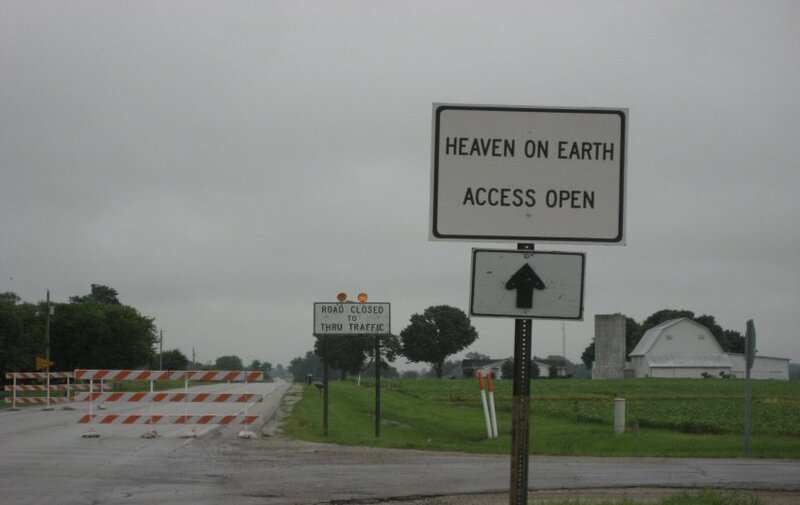 When coming to visit Heaven on Earth there will be a small obstacle on the highway. If you are coming from the south (Wabash) drive around the barricade and continue on to HOE. If you are coming from the north it will take you about an additional 5 minutes. You will want to turn right onto 500 N. and go to 600 W. turn left onto 600W to 400N. turn left onto 400 N. to state road 15 turn left again, go around barricade and it will bring you right to us. When you run out of road you are here. The Original One Stop Shop hop is coming in just a few days. July 24th and 25th will be the dates for this years event. Friday doors open at 9 a.m. and will remain open till 6p.m. We have some great door prizes and fun for everyone, Demo's in the booths and demo room to teach you all kinds of new techniques. Mark you calendar and don't miss this. Harvey Hinklemeyers will be there again serving up yummy food and drinks to keep you nourished.